In Business 60 Years Free Estimates! Looking for an Expert to Assist You With a Stairlift Installation? For more than 60 years our clients in Queens, Brooklyn, Nassau and Westchester counties have trusted and relied upon Gem’s stairlift planning, installation and maintenance services. 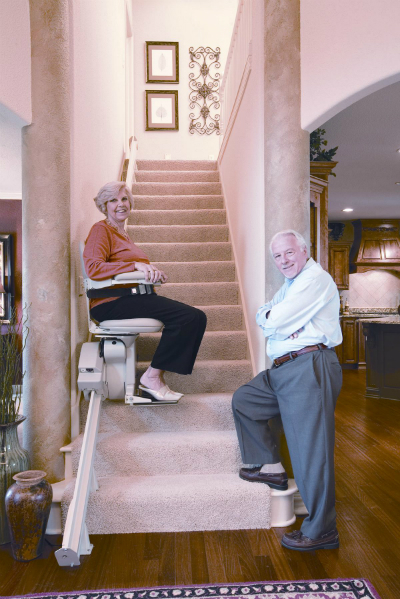 We promise to work together to provide you with the peace of mind you desire by installing the safest and most cost effective stairlift that’s right for you. Gem’s experienced staff will find the best solution for your residential or commercial application. We install stairlifts in private homes, garden apartments, professional offices, churches, synagogues, restaurants, or wherever your call takes us! Bruno Independent Living Aids® is Gem’s featured stairlift manufacturer because the industry recognizes them to be the safest, of the highest quality, with smooth operation and most trouble free. Bruno stairlifts are made in the USA and are protected by up to a 5 year major components warranty. We service everything that we install! There is a Bruno stairlift for most applications, whether indoors or outdoors, straight or curved. Why Should You Choose Gem? Copyright Gem Wheelchair Scooter Service, All Rights Reserved.